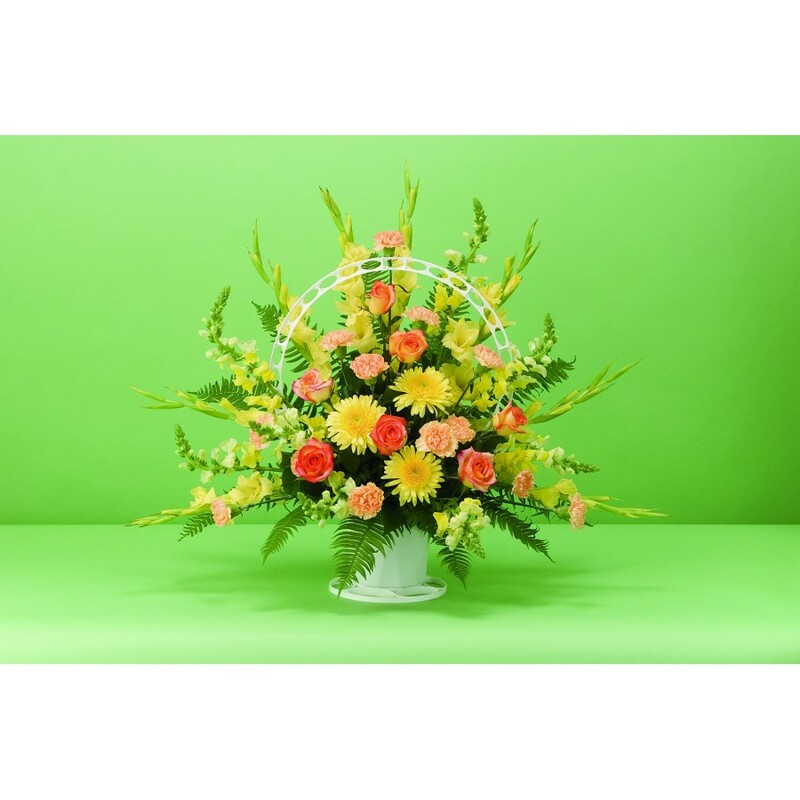 Express your love and admiration with a garden of colorful flowers which include daisies, carnations, and roses. Snapdragon flowers stalks surround the center, giving it an exuberant blooming appearence. Our "Pocketful of Sunshine" is guaranteed to bring in light and joy in a time of sorrow and mourning.